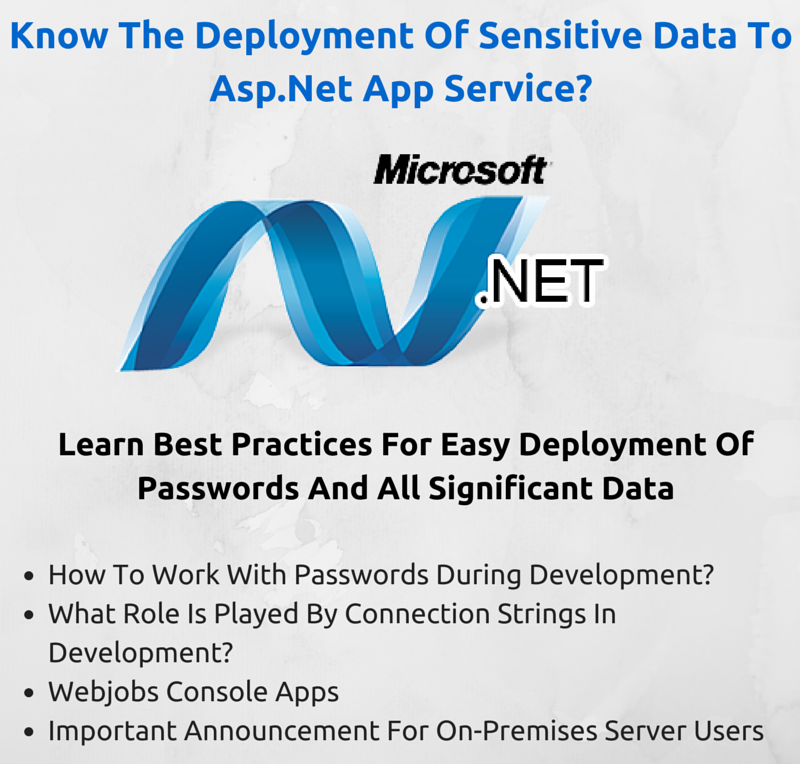 Does Your Hired Asp.Net Programmer Know The Deployment Of Sensitive Data To Asp.Net App Service? In this tutorial, Aegis asp.net development team will show how you can securely store your code and make secure access to data. It is always recommended that you must not store sensitive info like passwords in source code. You should not use production secrets at the time of testing and development. Hire asp.net programmer that can help you in getting things done. 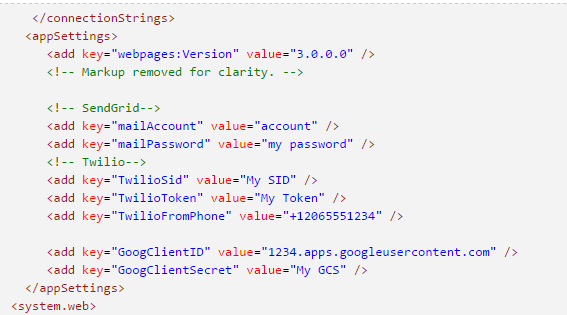 Professionals are using simple WebJob console app as a sample code and an asp.net mvc app that will help you in accessing database connection string password, Google, Twilio, and Sendgrid secure keys. How to work with passwords during development? This web.config file you can see is the source code, so you must not store these secrets in this file. You can use <appsettings> to specify an external file that holds sensitive app config settings. You can store your sensitive data to external file as long as it is not checked into your source tree. The contents of the external file will get merged by asp.net runtime with the markup in <appSettings> element. In case any specified file cannot be found, the runtime will ignore the file attribute. What role is played by connection strings in development? The new asp.net projects are created by Visual Studio that use LocalDB (it was specifically designed for development environment). You don’t need a password to use it, and hence, you need to do efforts to prevent secrets from being checked inside your source code. Few asp.net programming teams use compelete version of SQL Server or other DBMS that require password. For replacing the entire <connectionStrings> markup, you can use configSource attribute. Console app uses the app.config file and it supports absolute paths and not the relative paths. By using absolute paths, you can move your sensitive data in C drive, while other non sensitive data in app.config file. In case you are deploying to on-premises servers, you can use encryption method and configure the sections of configuration files to secure sensitive data. In case this tutorial seems tough, you can simply hire dedicated asp.net web programmers who can make best practices for deploying all your sensitive data to asp.net. To make queries related to asp.net programming and development, you can make comments below. aegissofttech is using Hatena Blog. Would you like to try it too?